QUIKRETE is the brand name of a fast-setting type of concrete. QUIKRETE can be used to repair or build anything that requires concrete. It is the same as traditional concrete, but formulated to solidify much more quickly. QUIKRETE is easy to use for weekend projects, but once mixed it needs to be poured and worked fairly quickly. QUIKRETE does not require a lot of fuss, which makes it ideal for homeowners who want to build sidewalks or patios on their property. Stake out the area into which you will be pouring QUIKRETE. Remove as much soil as needed until you reach the desired depth. Nail and stake the wooden forms into the shape you want. Tamp down the exposed area. 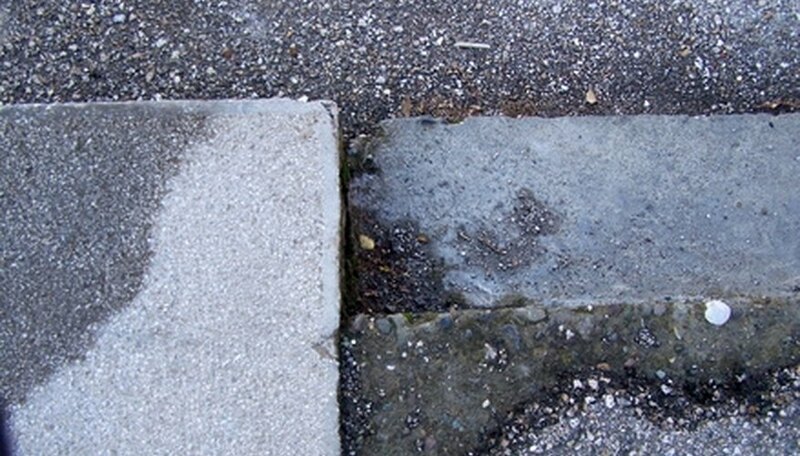 An uneven or shifting base can cause your concrete to shift and crack once set. Empty the QUIKRETE mix into either a wheelbarrow or bucket, depending on the size of your project. Add water according to the package directions. Work the water and the QUIKRETE together with a shovel. You want the QUIKRETE to come to the consistency of mashed potatoes. Add additional water if necessary, but too much water will weaken the concrete. Hose down the formed area. Do not leave the area too wet; you just want it to be damp. Shovel the QUIKRETE into the form, filling it completely. Use a straight board, called a screed, to smooth the surface of the QUIKRETE. Move the screed back and forth like a saw to settle the QUIKRETE. Use a bull float across the surface of the QUIKRETE. A bull float is a long-handled concrete tool that allows you to float an aluminum or wooden tool across the top of the concrete to smooth it further. Cut the QUIKRETE away from the form using a trowel along the edges. Let the surface moisture evaporate from the top of the QUIKRETE before using the trowel to add any texture you wish. Allow the QUIKRETE to harden completely before stepping on the surface or removing the wooden forms. Protect QUIKRETE from frost and freezing for the first 48 hours after pouring it.